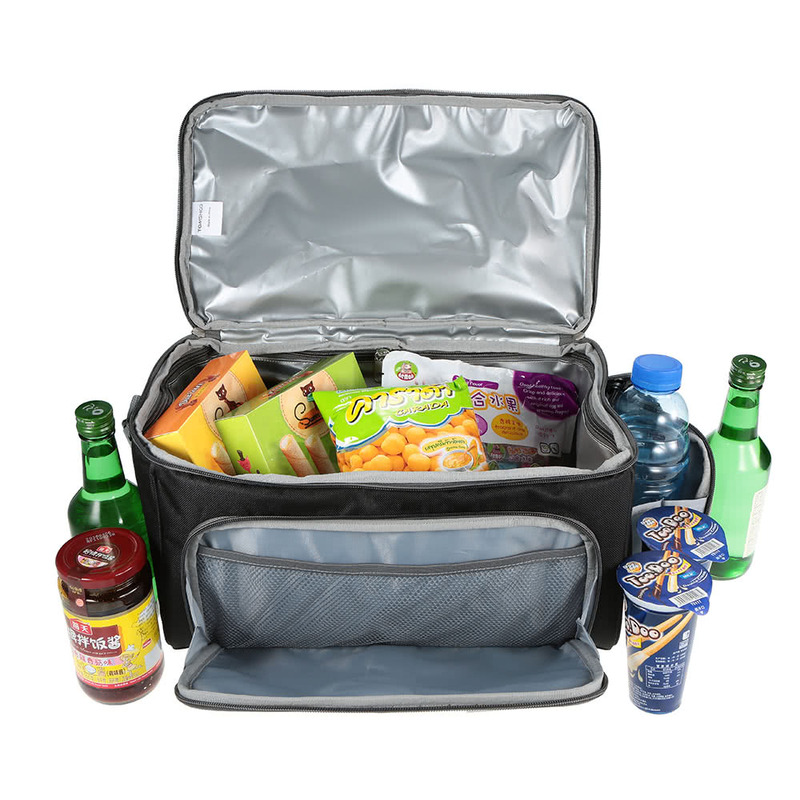 Nur US$23.06 + schneller kostenloser Versand. 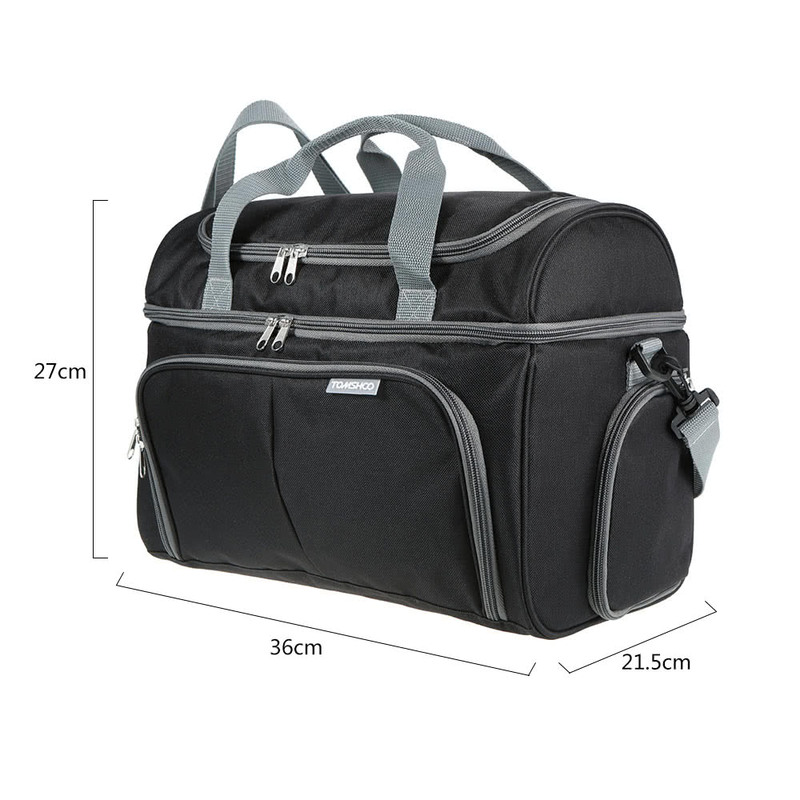 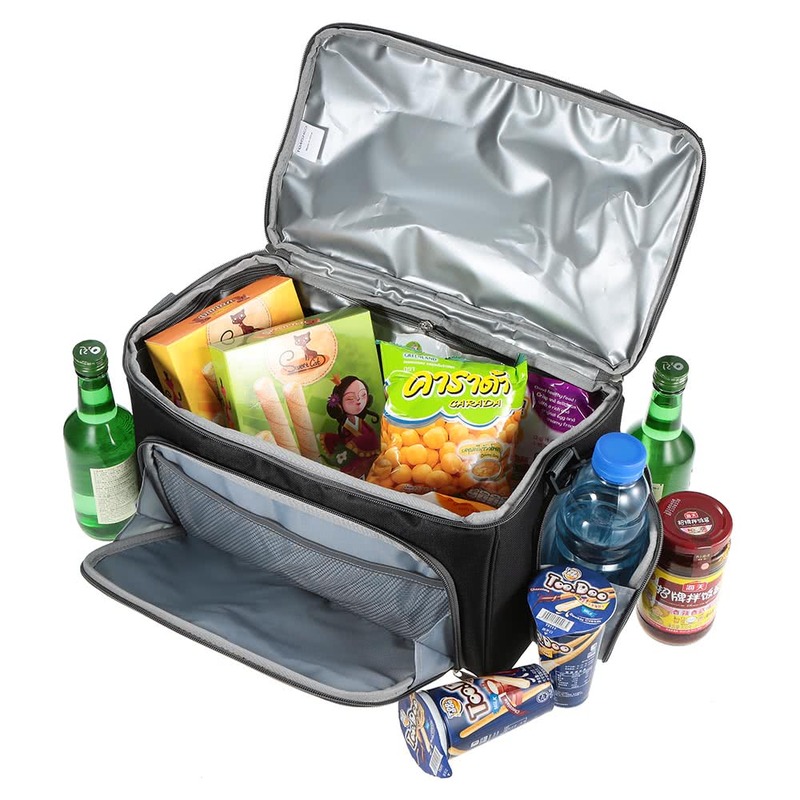 Shop am besten schwarz TOMSHOO Thermal Insulated Cooler Lunch Bag Food Box Handbag Outdoor Picnic Storage Bag 20L zum Verkauf, Es gibt eine Vielzahl von Rabatten, die auf Tomtop.com auf Sie warten. 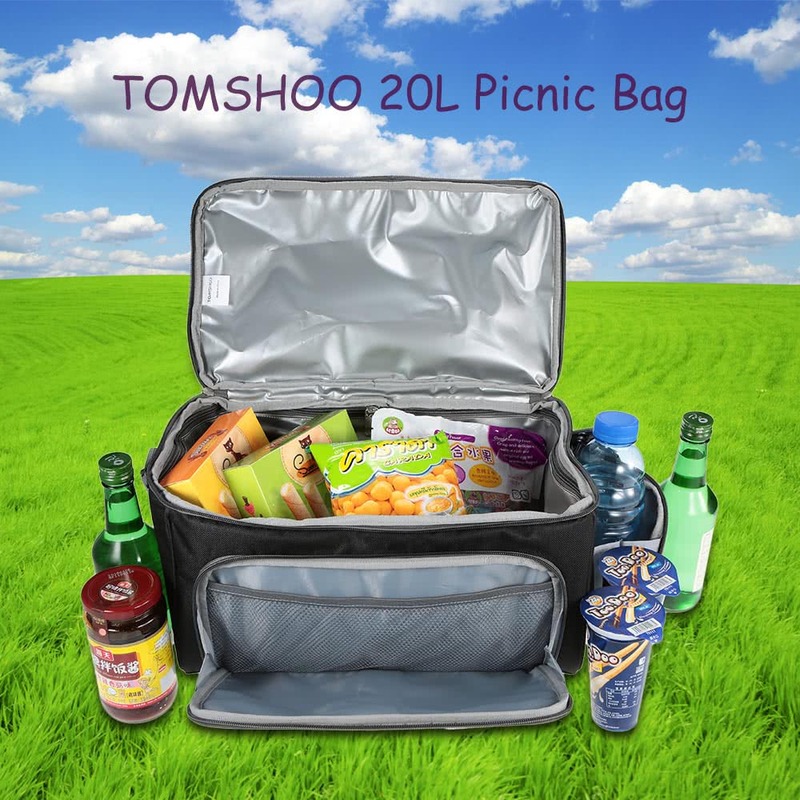 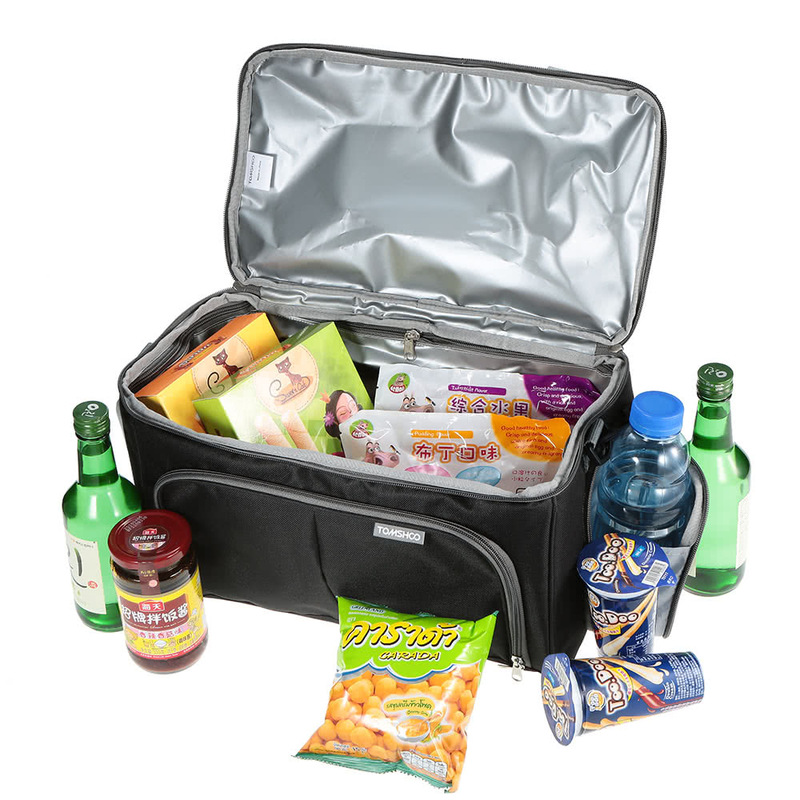 TOMSHOO picnic bag with multiple compartments and pouches to meet your various need is the best choice for your picnic time. 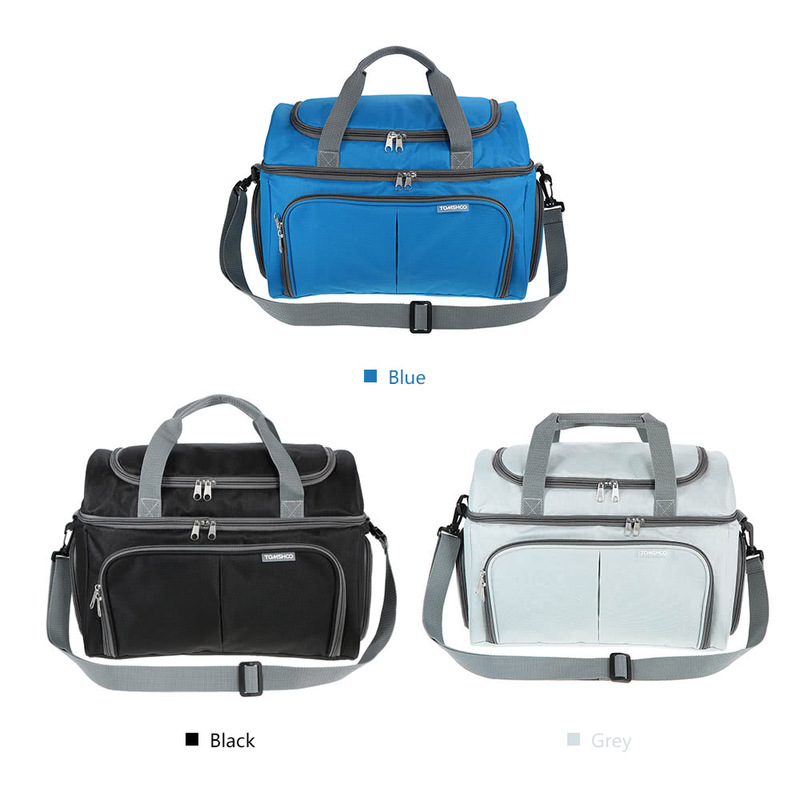 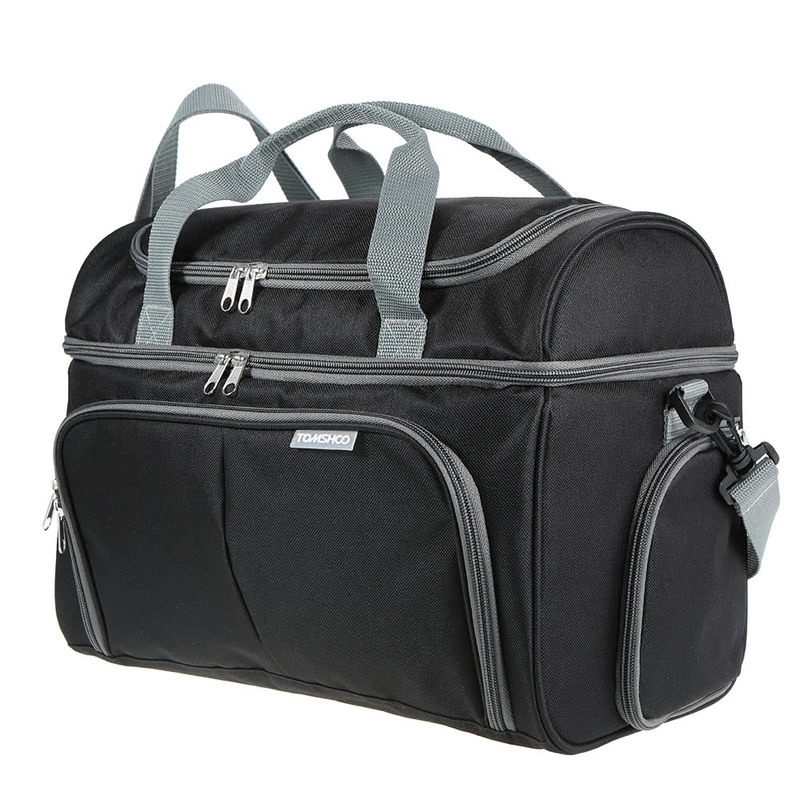 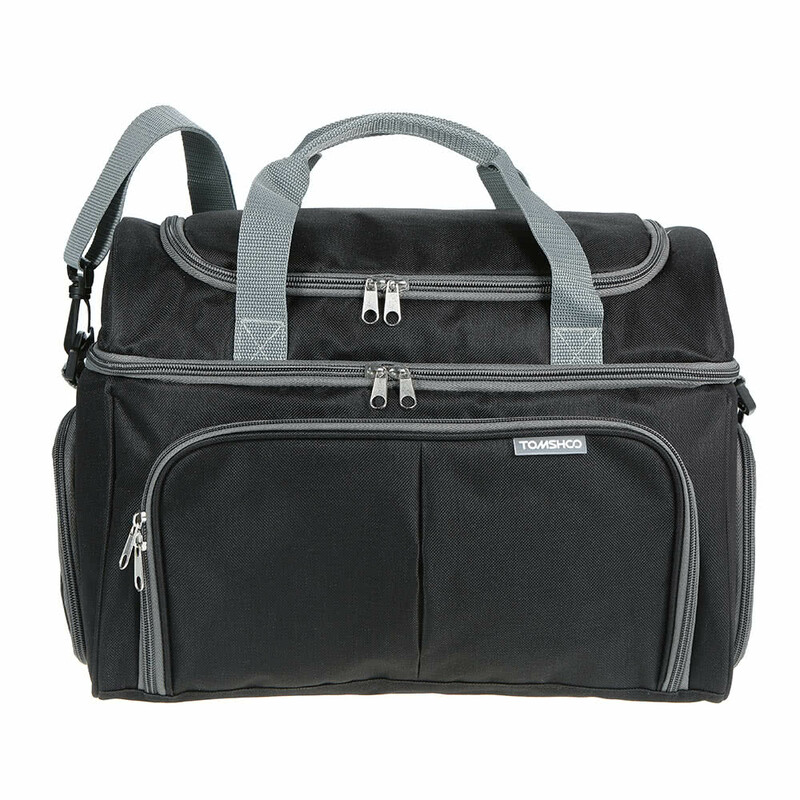 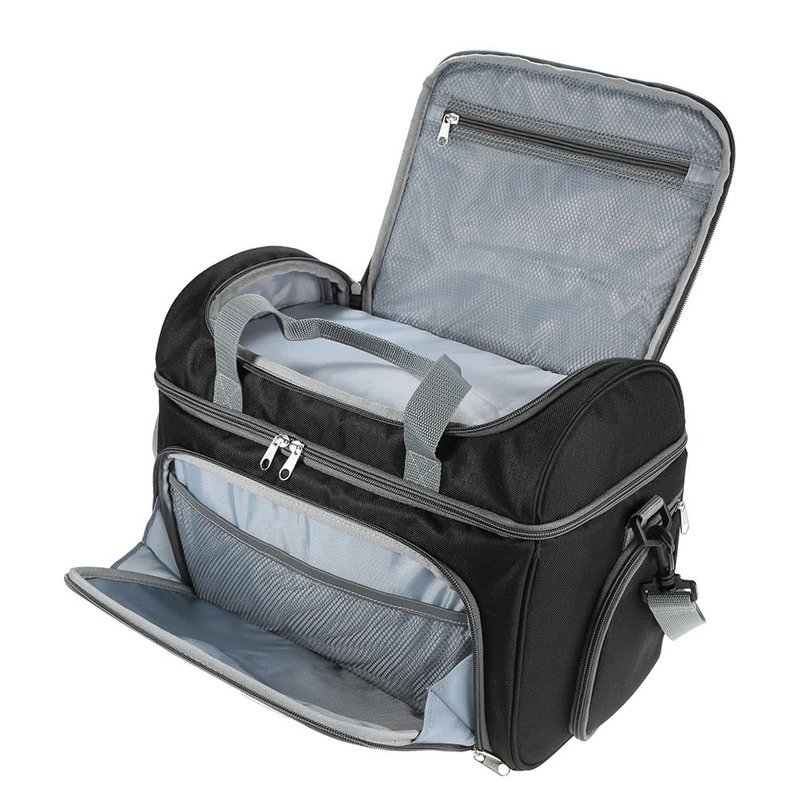 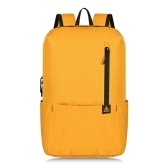 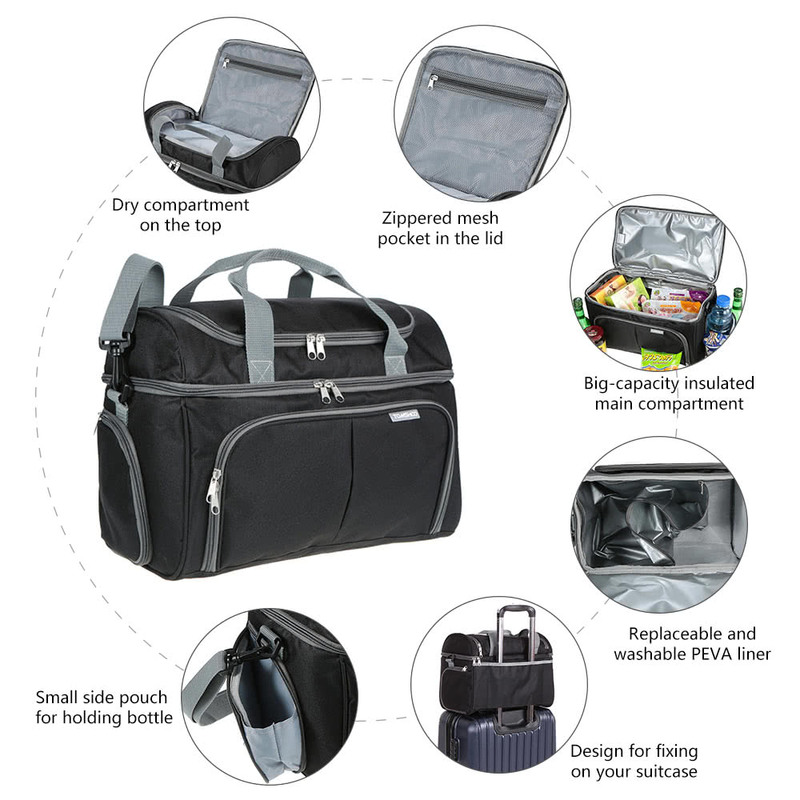 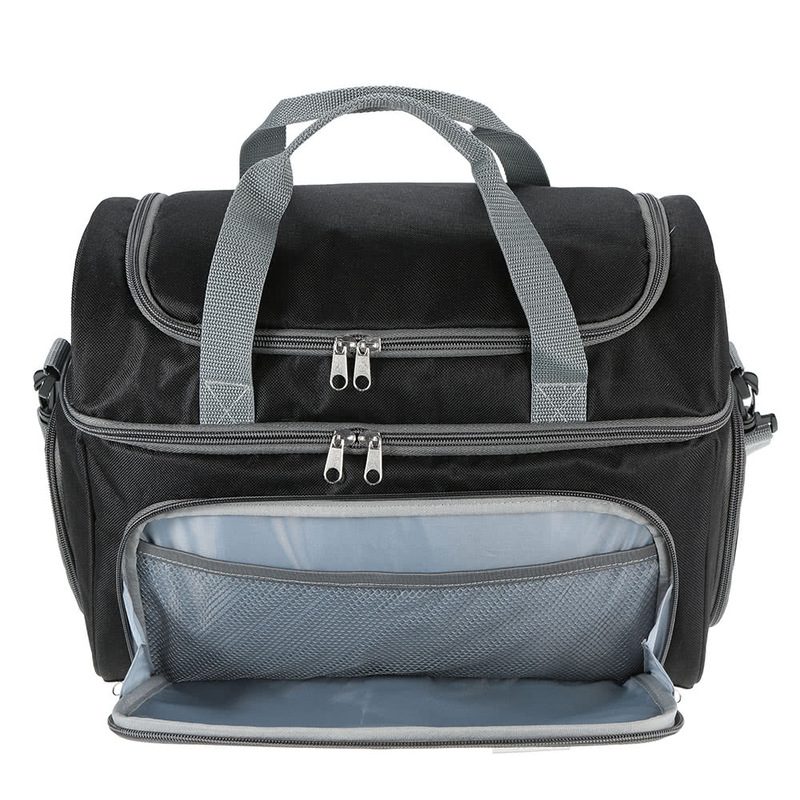 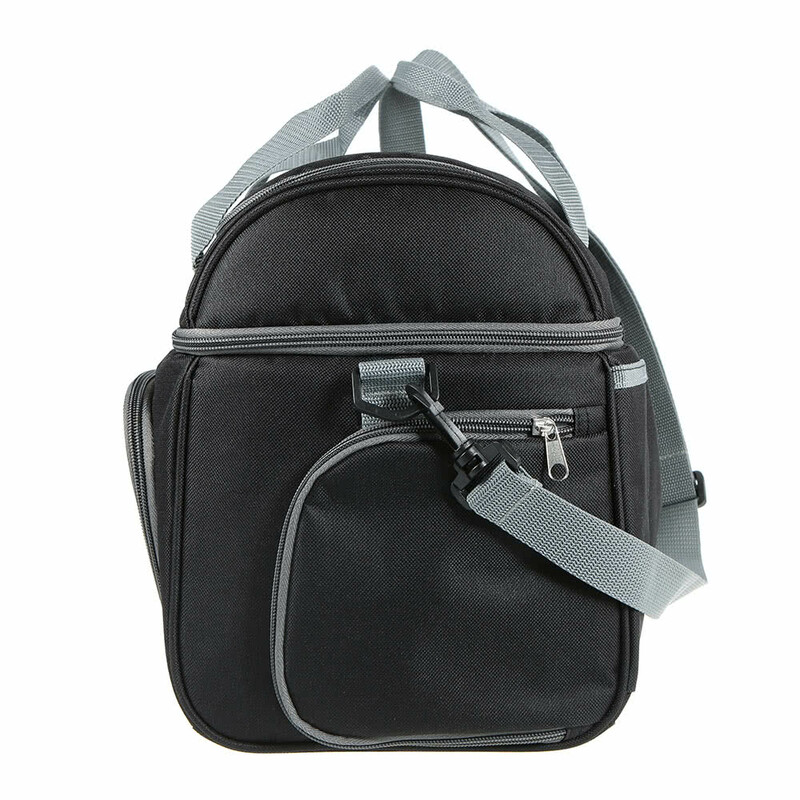 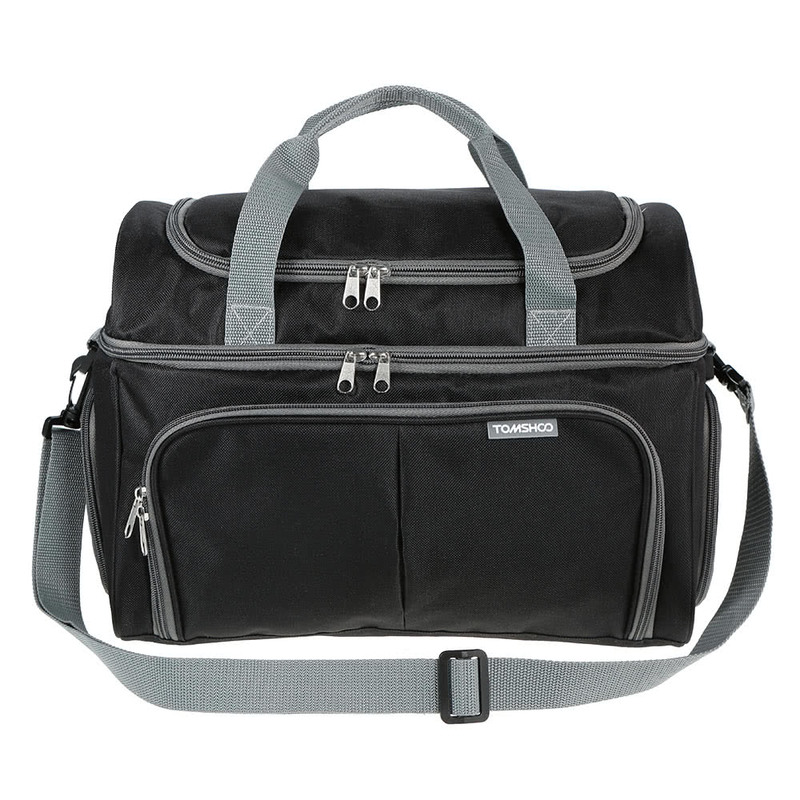 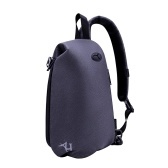 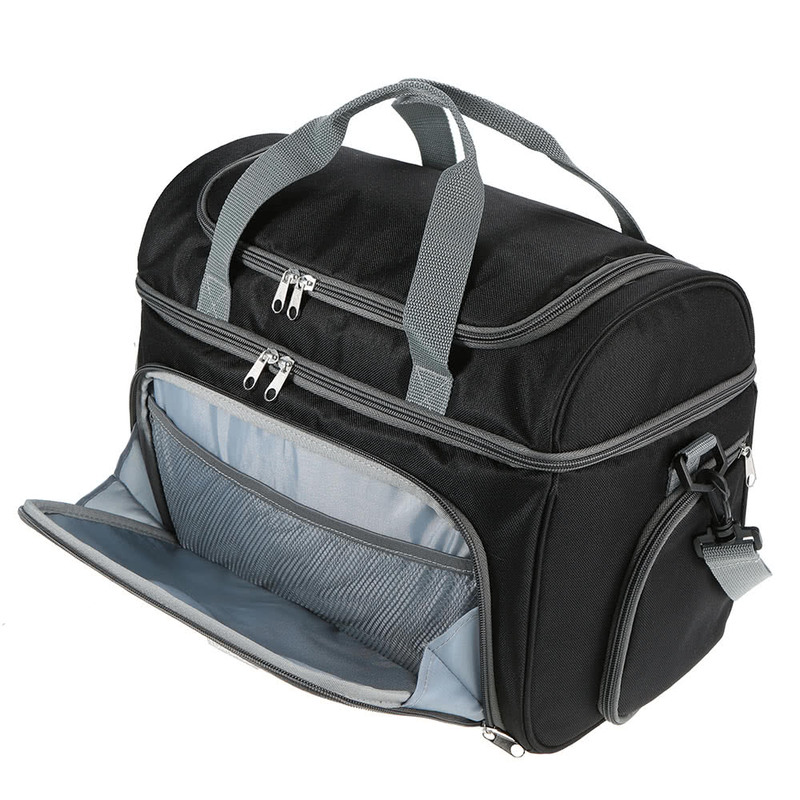 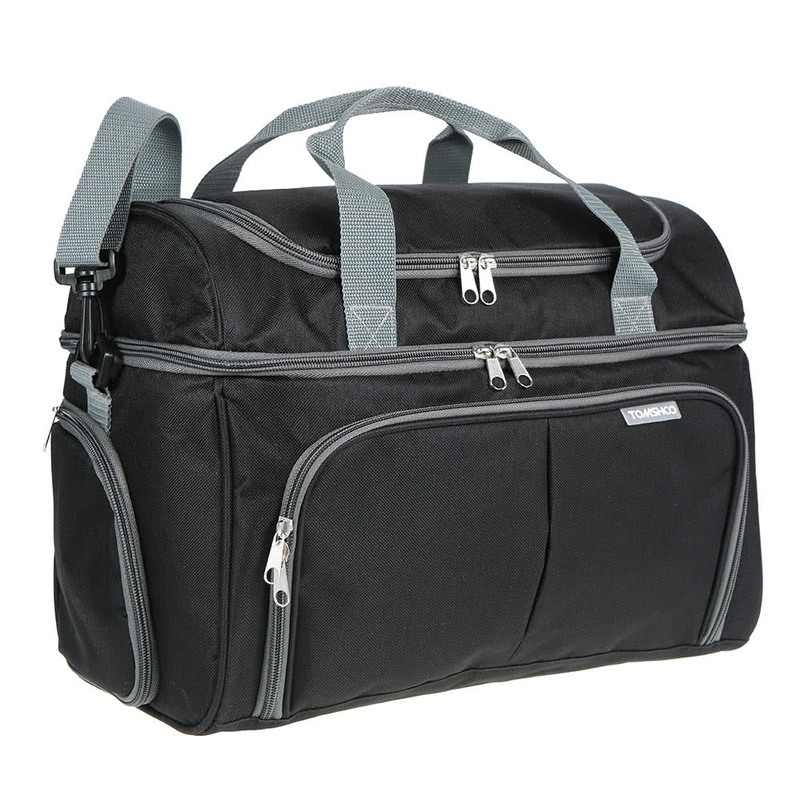 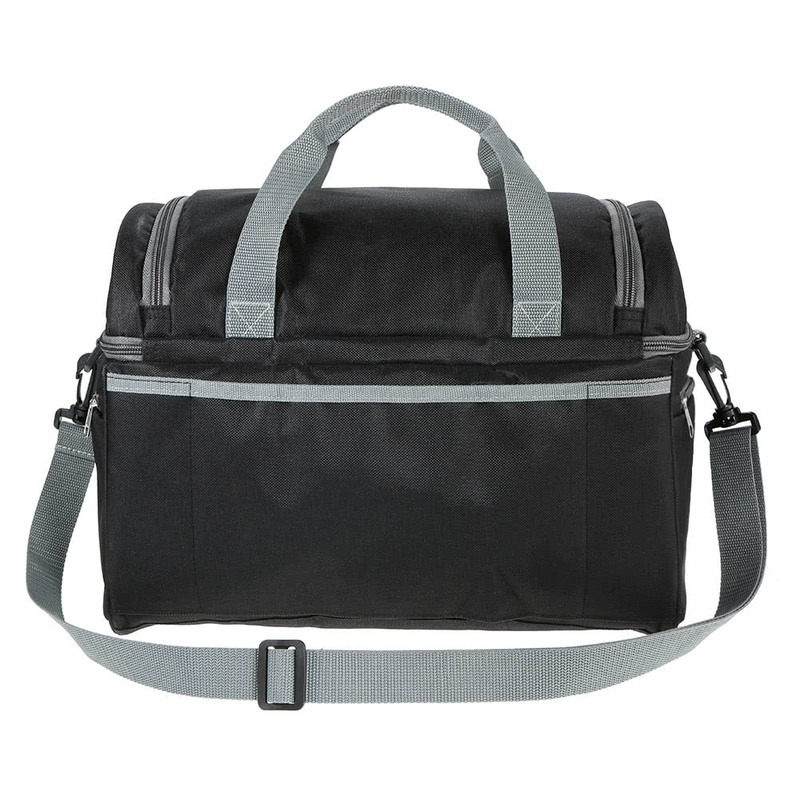 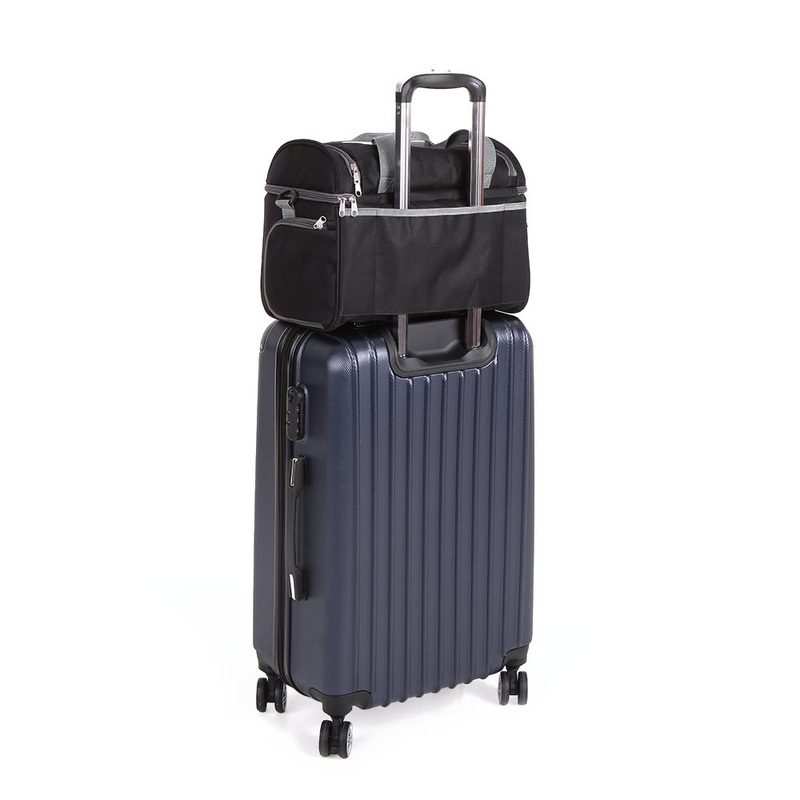 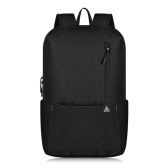 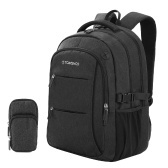 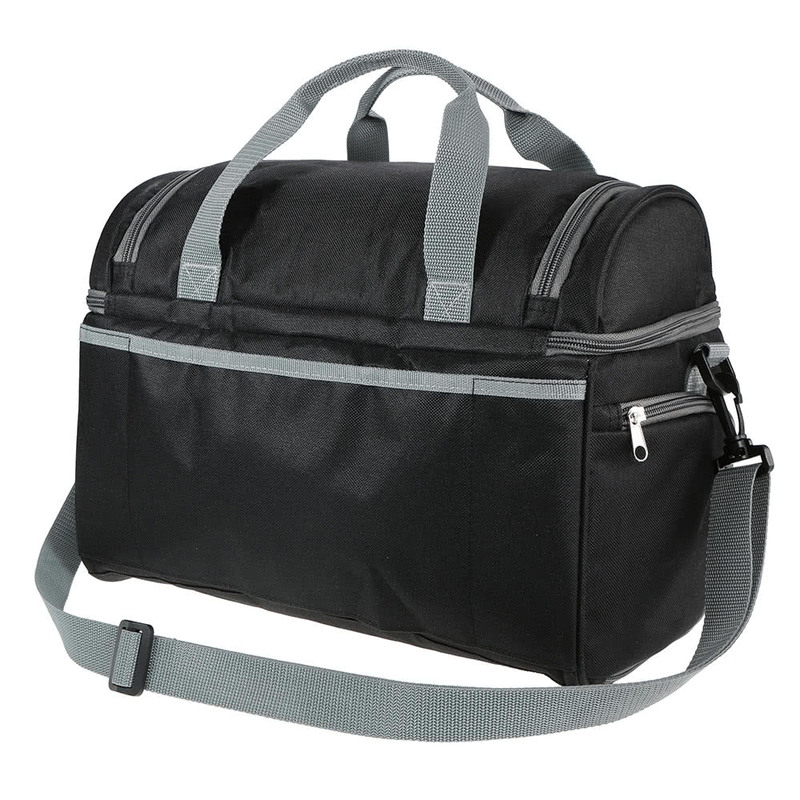 Dry compartment on the top has two-way zipper for easy access. 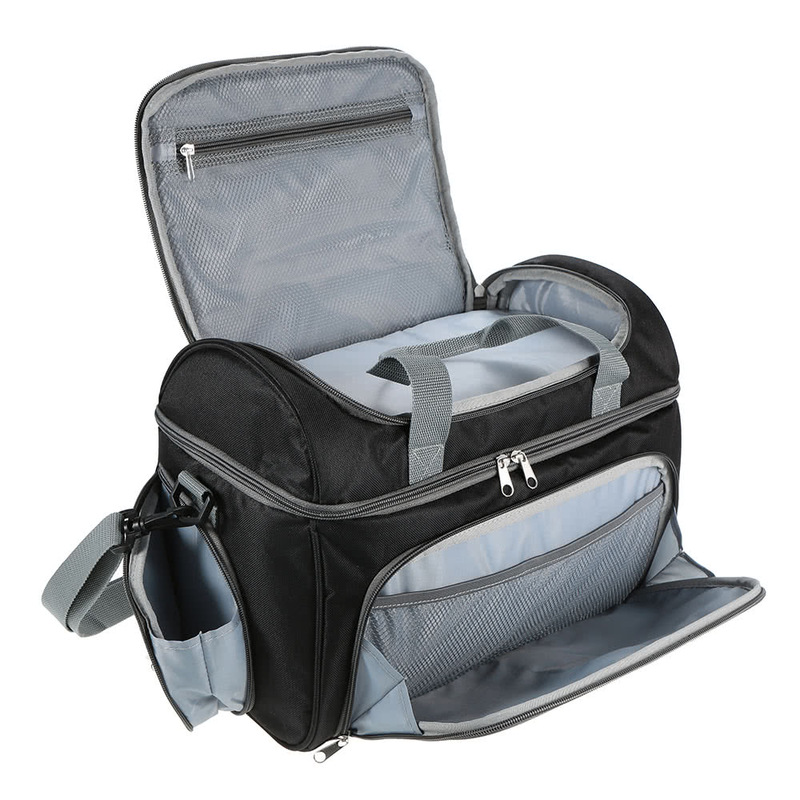 Zippered mesh pocket in the lid keeps napkins and other small items in place. 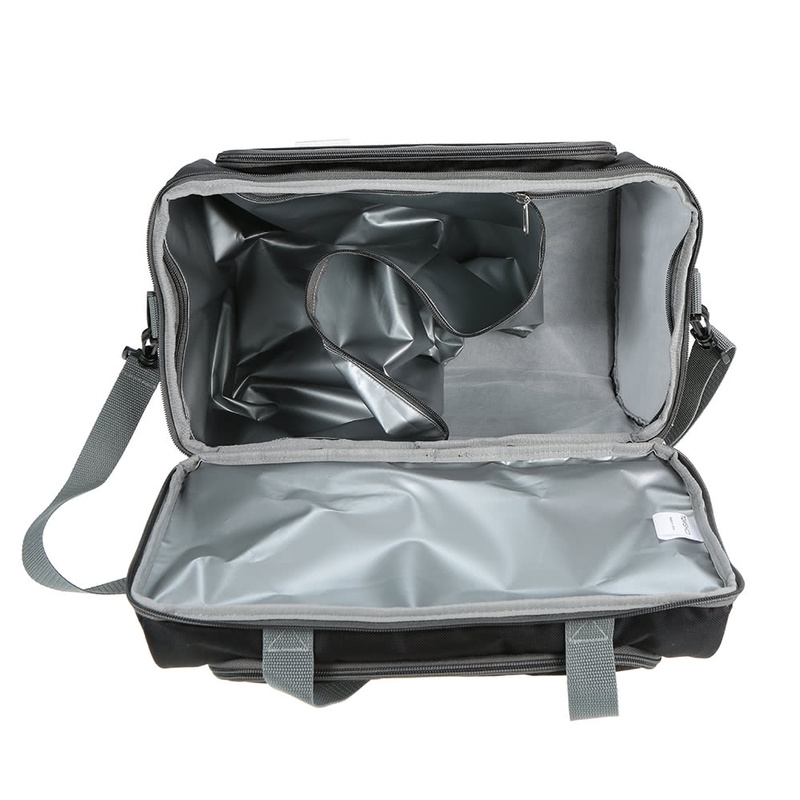 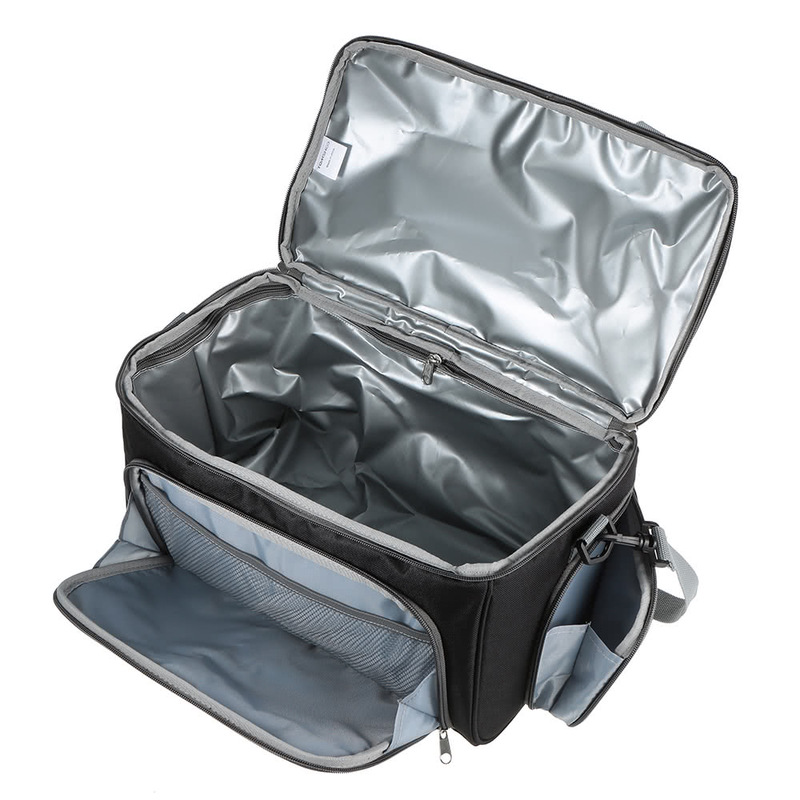 Big-capacity main compartment is insulated with replaceable and washable PEVA liner. 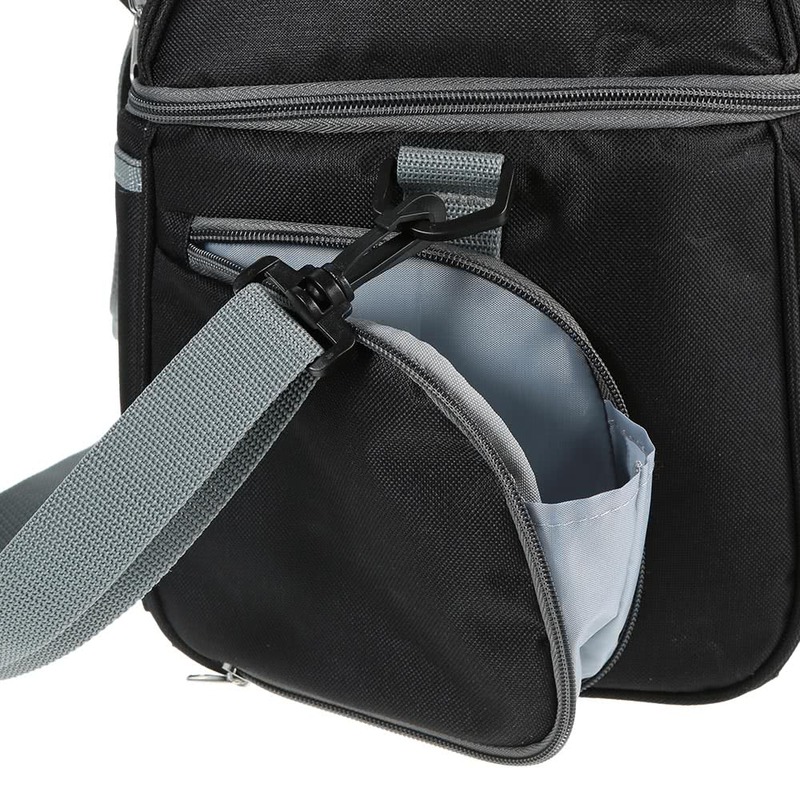 Small side pouch for holding bottle. 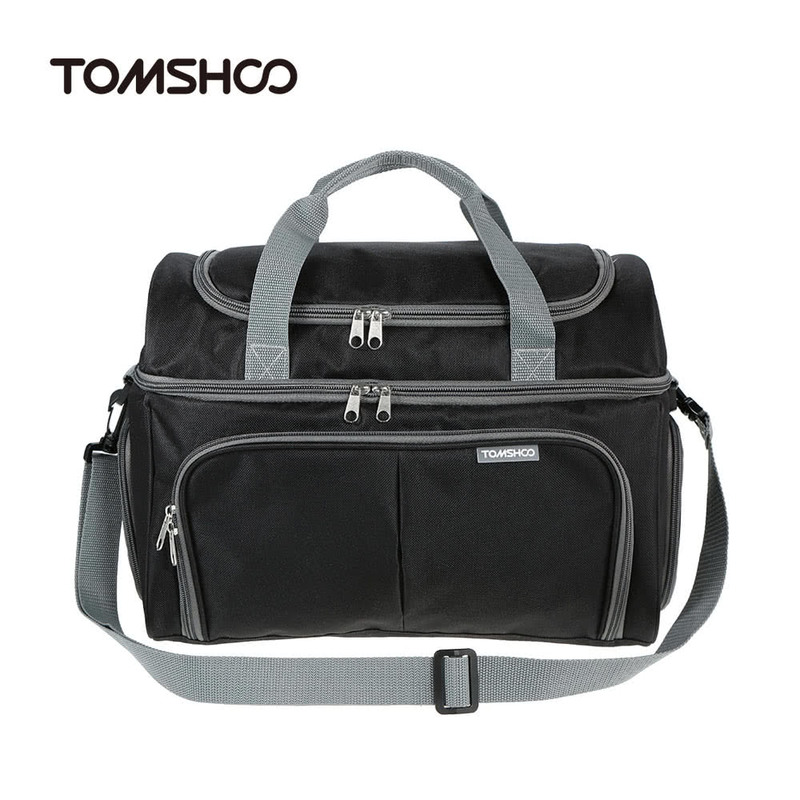 Can be used as handbag or shoulder bag, great choice for outdoor picnic. 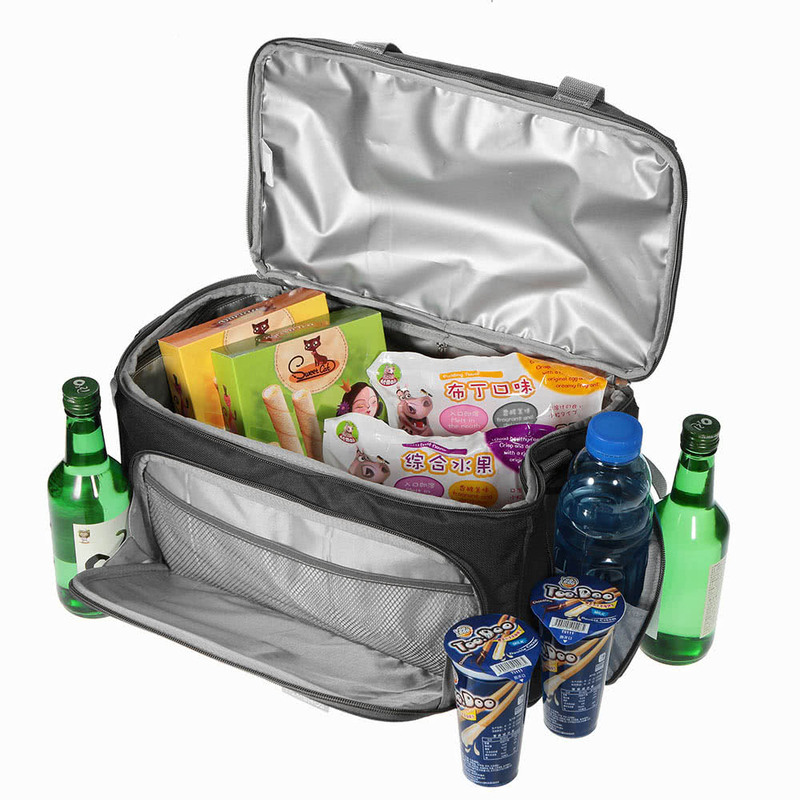 Note: 1 Picnic Bag ONLY, other items displayed in pictures are for illustration purpose ONLY, they are NOT included in the listing!